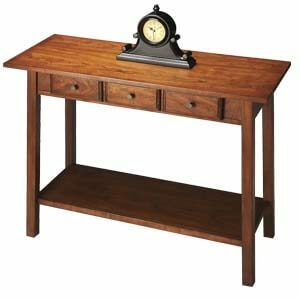 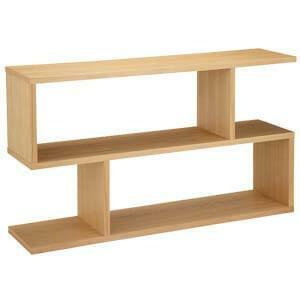 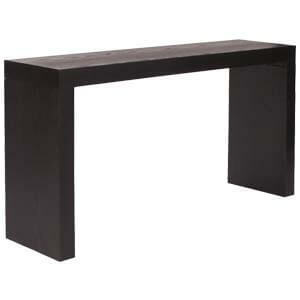 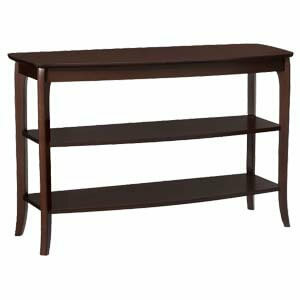 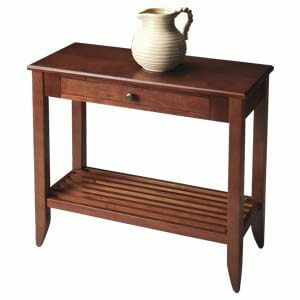 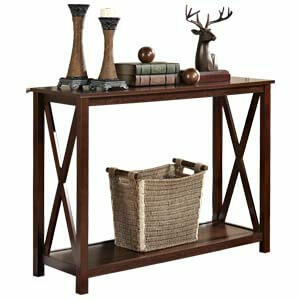 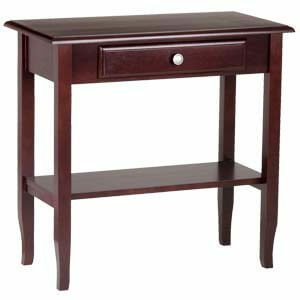 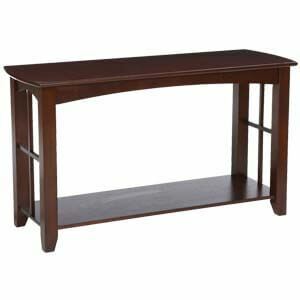 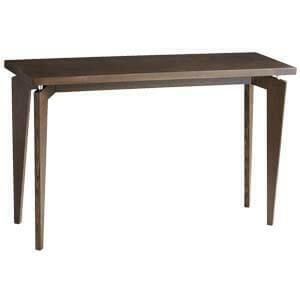 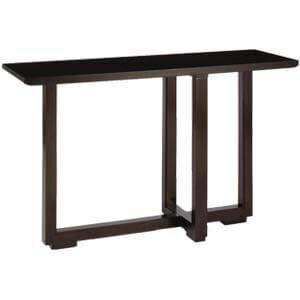 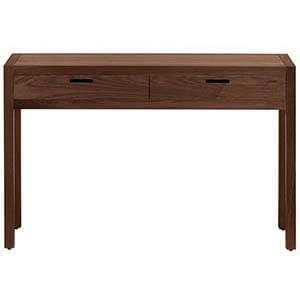 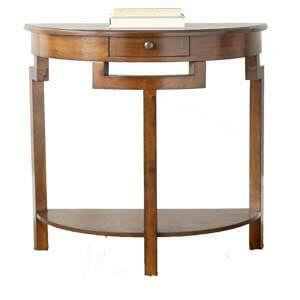 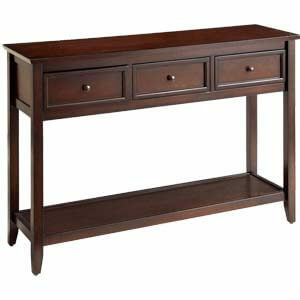 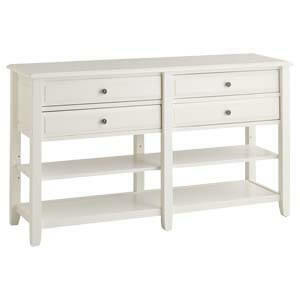 Contemporary console table with clean straight lines, it features a lower open shelf apt for display and storage. 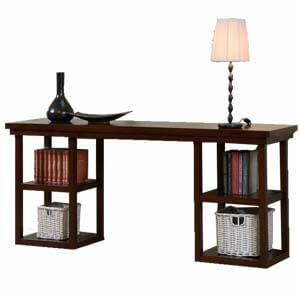 Handmade, it comes with a thick laminated top seated on L-shaped wooden legs. 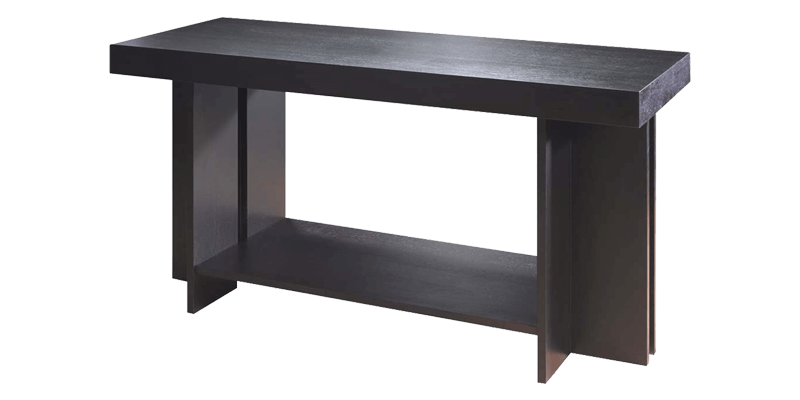 Available in glossy finish.